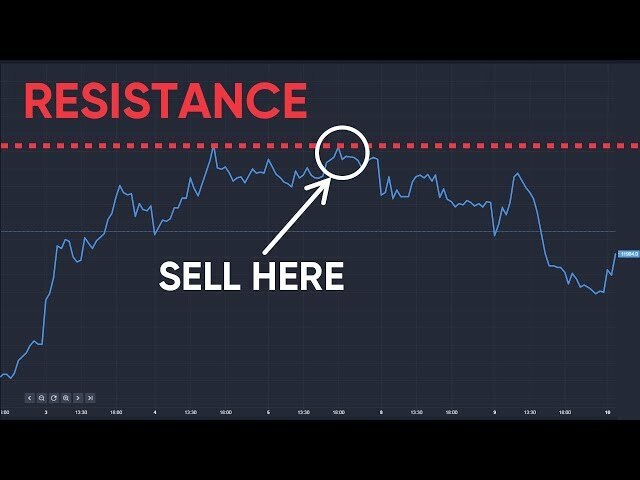 Where have you heard about bear markets? You’ll probably have heard the expression used on money-advice shows on radio and TV and read it in the financial pages of quality newspapers. More broadly, it is often used in business circles to suggest a downbeat view – being ‘bearish’ is being pessimistic about the direction the market is taking. The phrases ‘bull and bear market’ derive from the different ways the two animals attack their opponents. A bull attacks by lifting its horns upward, but a bear strikes with its claws in a downward motion. Using these actions as metaphors for market trends, we talk about a bull market if the trend is up, and a bear market if the trend is down. Both terms are typically used in reference to the stock market, but they can also describe specific sectors such as real estate, bonds or foreign exchange. There’s no cast-iron definition of a bear market– any more than there is of a heatwave or a hard winter – but you tend to know one when you see it. As a rule of thumb, a 20% drop over two months from the most recent high-point in share prices signals a bear market. From 1900 to 2015 there were 32 bear markets – an average of one every 3.5 years. During the bear market that coincided with the global financial crisis (October 2007 to March 2009) the Dow Jones Industrial Average dropped 54%.The bear market was confirmed in June 2008 when the Dow Jones Industrial Average had fallen 20% from its October 2007 high. The decline came in tandem with other stock markets around the world. For example, the FTSE 100 went from 6,731 on 12 October 2007 to 3,512 on 3 March 2009 (a 48% fall). But the duration of this bear market was just below average thanks to concerted interventions by governments and central banks to prop up the stock market. So, what causes a bear market? Sharp upward movements in interest rates or commodity prices can trigger bear markets, as can an over-reaction to a previous stock-market boom. Most financial theorists agree that economic cycles and investor sentiment both play a role in triggering bull and bear markets. Generally speaking, a weak or weakening economy – with high unemployment and declining business profits – will set off a bear market. If well-known companies experience several new trading lows, this could be an indication that a bear market is occurring. Falling investor confidence also often signals a bear market. When investors think something is going to happen (for example a bear market), they tend to take pre-emptive action (including selling shares to avoid losses from expected price falls), and those actions can turn expectations into a self-fulfilling prophecy. In the first phase– around and just after the market top – prices and investor sentiment are high, but investors are starting to take profits and exit the market. In the second phase, stock prices begin their rapid descent, trading activity and corporate earnings fall, and economic indicators are below average. Investor sentiment turns pessimistic and some investors panic. Market indices and many securities fall to new trading lows, and trading activity continues to decrease. In the third phase, prices and trading volume go up a little as speculators start to enter the market. In the fourth and final phase, stock prices continue to fall, but at a slower rate. When prices become attractive enough to investors, and positive economic indicators start appearing, bear markets eventually give way to bull markets. It’s worth stressing that a market top (or high) isn’t usually a dramatic event – it just means that the market has reached the highest point it will see for the foreseeable future. A decline then follows, usually gathering in pace as time goes by. As a rule, the ideal thing for an investor to do in a bull market is to take advantage of rising prices by buying early and then selling the stocks when they’ve reached their peak. During a bull market, an investor tends to have a higher probability of making a return as prices are rising steadily. But in a bear market, the chances of losses are higher because prices are continually losing value – and often there seems to be no end in sight. An investor who decides to buy in the hope of a turnaround and an upturn is likely to take an initial loss before there’s any change of market direction. Some investors turn to defensive stocks in bear markets. These are stocks whose performance isn’t greatly affected by changing market trends, and which are generally stable in both good and bad economic times. Utilities and food manufacturers, which provide necessities that people buy regardless of the economic situation, are usually seen as defensive stocks. Changing market trends don’t impact them as much as luxury retailers or auto makers. 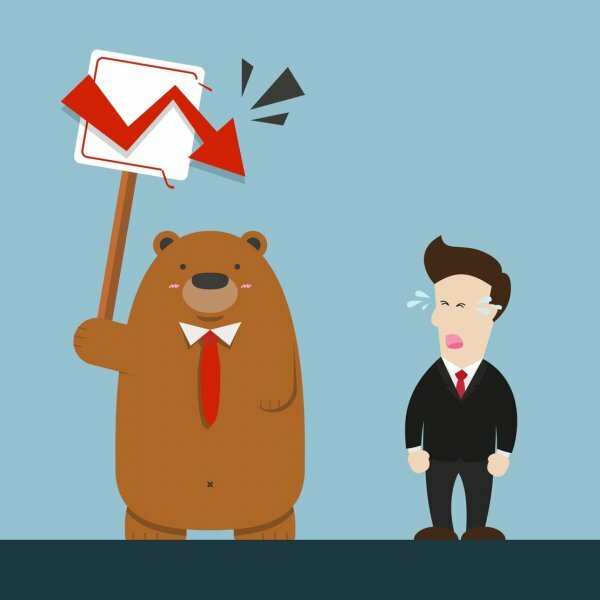 Abear market doesn’t necessarily have to be bad news for savvy investors – they can potentially make gains in a bear market by short selling. This is the practice of selling borrowed shares and then buying them back at a lower price. A short seller’s profit or loss is the difference between the price at which the shares were sold and the price at which they were bought back – or ‘covered’. So, if an investor shorts 1,000 shares of a stock at £10, the price falls and the shares are covered at £9, then the investor records a profit of £1 x 1,000 = £1,000. But, of course, it can also go the other way – a stock might buck the downward market trend and rise in value, in which case you’d make a loss. If you want to explore this subject more, you’ll find lots more definitions of related terms such as bull market, stock market and short selling in our comprehensive online glossary. There’s always plenty of speculation in the press and online about the onset of the next bear market. Here’s an October 2017 piece in the Huffington Post, warning that a bear market can have a crucial impact on people’s investments and retirement plans. Bear markets can affect sectors and commodities as well as the stock market in general, and in November 2017 Wells Fargo predicted that the bear market in oil could last for another decade. CNBC reported on the bank’s findings in this interesting article.